Diamond Education College is delighted to inform that due to its continuous striving to quality training it was chosen to train another group of 4 South African Diamond and Precious Metals Regulator officials in Rough Diamond Evaluation Course. DEC is proud to announce the succesfull training in Rough Diamond Evaluation and Grading to a group of learners sponsored by the South African Military Fund - more learners to follow! The Diamond Education College is completing its regular contract with the Mining Qualification Authority for training 24 learners in Rough Diamond Polishing and Cutting. Feel free to find out about new opportunities in the diamond industry brought to you by the DEC! The DEC is honoured to have been chosen by the State Diamond Trader to deliver training in the diamond processing field to its 10 learners. Project succesfully completed - more students to come! During 2016, the Diamond Education College succesfully comleted the training of 20 previously unemployed students, funded through the Mining Qualification Authority's bursaries for learnerships in the diamond processing industry. A group of four officials from the Botswana government were taught Rough Diamond Evaluation and Grading skills at the Diamond Education College facilities. Upon completion of the project, it was agreed to continue the fruitful cooperation between the two parties. DEC successfully completed its contract to train rough diamond edvaluation and grading skills to 29 South African Polices Services officials from the Department of Priority Crime Investigation - future cooperation was discussed between parties and agreed for training to be continued for DPCI needs. Due to the quality of its training, the Diamond Education College is proud to have been chosen to train six South African Diamond and Precious Metals Regulator officials during 2014. 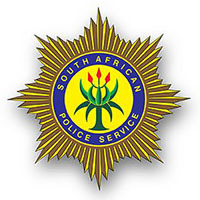 Diamond Education College is proud to announce that due to the quality of training provided by Diamond Education College and its reputation, it was chosen as the training provider for Rough Diamond Evaluation and Grading skills for Department of Priority Crime Investigation under South African Police Service. During November 2013 Diamond Education College delivered training to 20 delegates from Department of Priority Crime Investigation. During the end of November 2013 - beginning of December 2013 Diamond Education College provided training to 8 goverment officials from Cameroon in Rough Diamond Evaluation and Rough Diamond Marking. An agreement has been reached to continue training of key staff members of Depatment of Mining of Cameroon. Diamond Education College continuing to train people from all over the world. This polishing course College was delivering training to students from Democratic Republic of Congo, United States of America, Zimbabwe, Great Britain, Botswana. During the course students have made valuable contacts in Diamond Industry and established a few companies to participate in Diamond Trade. By the end of June 2012 Diamond Education College succesfully comleted a special project sponsored by South African Department of Higher Education and Training - National Skills Fund. The aim of the project was giving and developing practical skills of polishing a diamond into a round brilliant shape. Participants of the projects had been previously undertrained by other unaccredited provider youngsters from Nothern Cape province. Due to its reputation and quality of training Diamond Education College was chosen to complete the project by DHET and during the January 2013 - June 2013 delivered its service under this project.